Hello residents of Rose Hill and the surrounding area. 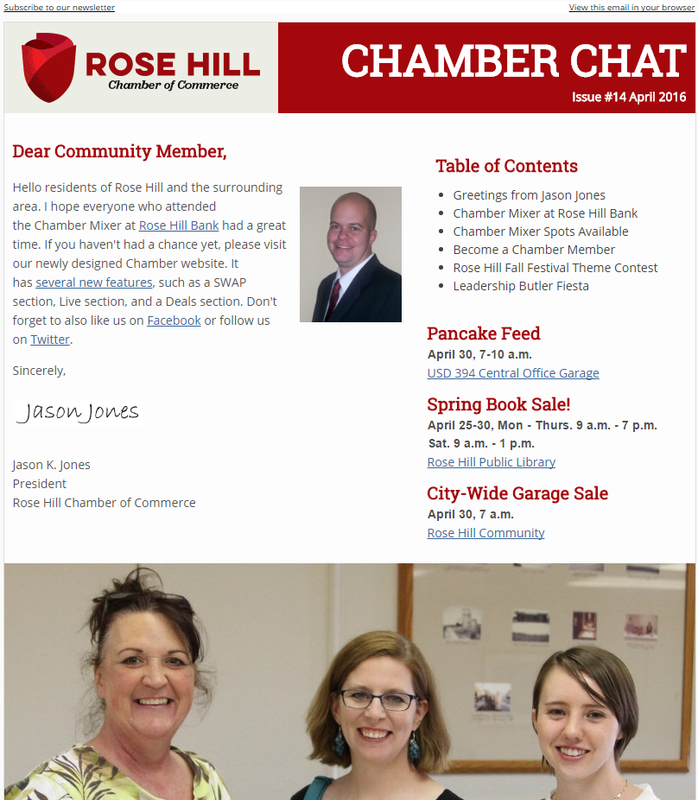 I hope everyone who attended the Chamber Mixer at Rose Hill Bank had a great time. 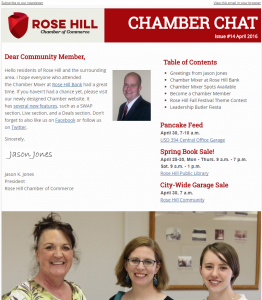 If you haven’t had a chance yet, please visit our newly designed Chamber website. It has several new features, such as a SWAP section, Live section, and a Deals section. Don’t forget to also like us on Facebook or follow us on Twitter.